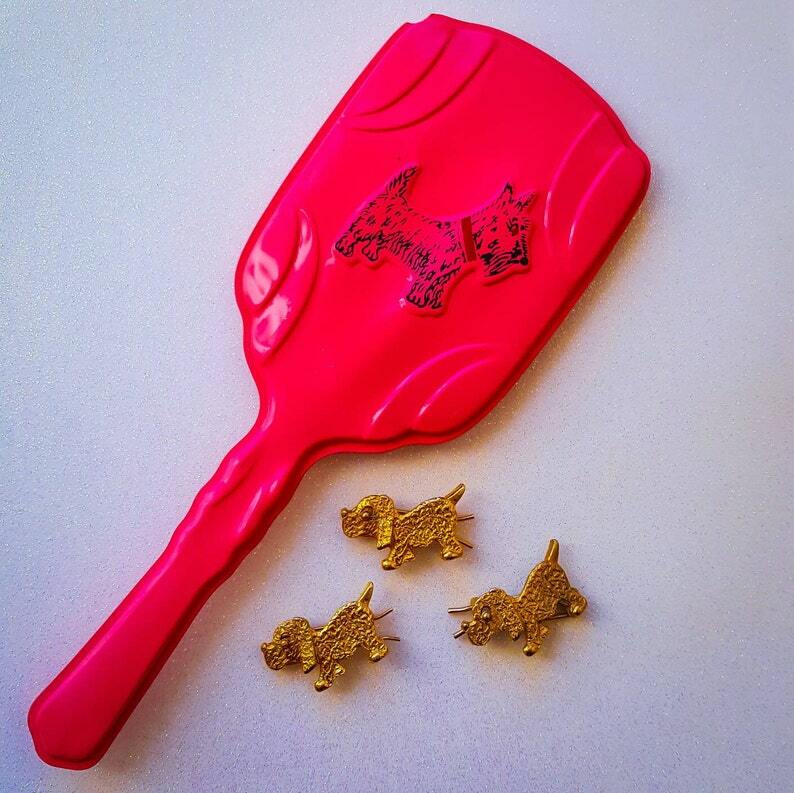 These adorable puppy barrettes are old stock from the 1950s! They close with a very old fashioned squeeze barrette mechanism and are so cute! Listing is for one barrette, mirror is for display and not included. Measures about 1.5 inches in length.